Welcome to the first article in a four-part trend series. This post will cover women’s hat trends for the Spring/Summer 2019 seasons. A few months ago, we covered the Autumn/Winter 2018 seasons. We always strive to stay ahead of the trends so you’re well prepared for what’s coming next. Over the next three weeks, we will discuss the season’s trends for men and youth, as well as athleisure apparel, so check back weekly for updates. But first – the ladies! For the Spring/Summer ’19 seasons, you can expect to continue seeing elements from the 90s like the Dad Hat. However, there will be a modern take on these retro looks with technology and performance fabrics implemented into old school styles. This season, it’s all about the fabrics: metallic leathers, velvets, heavily washed denim, and frayed edges. First, let’s look at fashion shapes and sun protection styles. You’re going to see a lot of patterned straws with unique bands around the crown of brim shapes as well as detailing around the brim. Floppy sun hats and Captain’s shapes are popular as well as felt. Despite the warmer weather, black and white will be very popular. This season, there will be less of what has traditionally been called bling. The embellishments take the form of lace, large patches, and floral embroidery. Whiskey is a common theme this season. You’ll also see a lot of animal prints and denim. 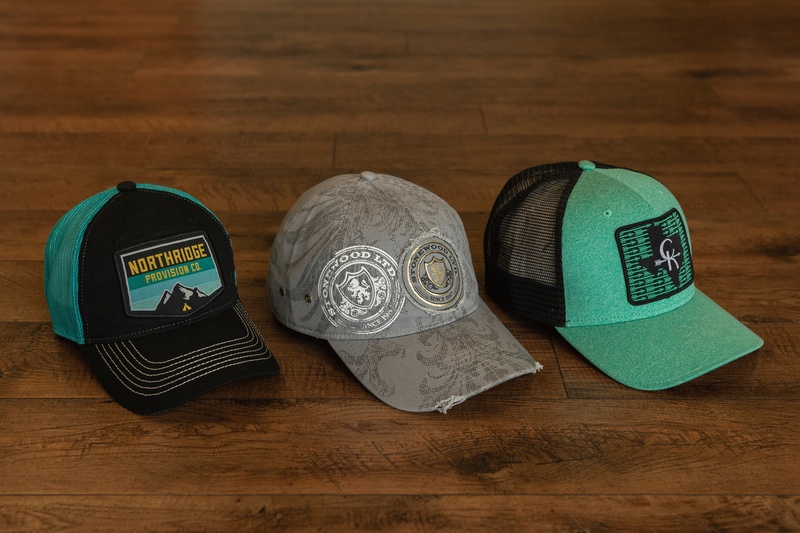 The 5-panel meshback truckers will be really popular in this category; you’ll see a lot of mountain scenery and patterns sublimated onto the front. Ball caps and military shapes will also be significant. Mint green, also known as seafoam is by far the most popular color this season, but you can expect to see some coral too. Branded leather is something new we’re seeing in this category. The foam trucker hat prevails in this category as well as the Dad Hat. You can expect bold patterns and sublimation, tie-dyes, florals, bleached-out looks, and pop culture references. As far as graphics and decoration, this season will be full of nature scenery, animal silhouettes, and other outdoor lifestyle imagery with ethnic and bohemian influences. Graphics are often circular shaped and layered with patterns, flowers, and script type with distressed looks. Spring and summer prints are typically very bright and vibrant; 2019 is no exception, but there will also be some faded and washed out looks. You’re going to see a lot of floral and tropical patterns with animal prints and watercolors as well star patterns, paisley, chevron, stripes, generic camo, tie-dyes, and ombres. We’re expecting to see 3D embellishments like tassels, rips, studs, quilting, and sequin embroidery. You can also expect unique closures like buckles and belt loops. 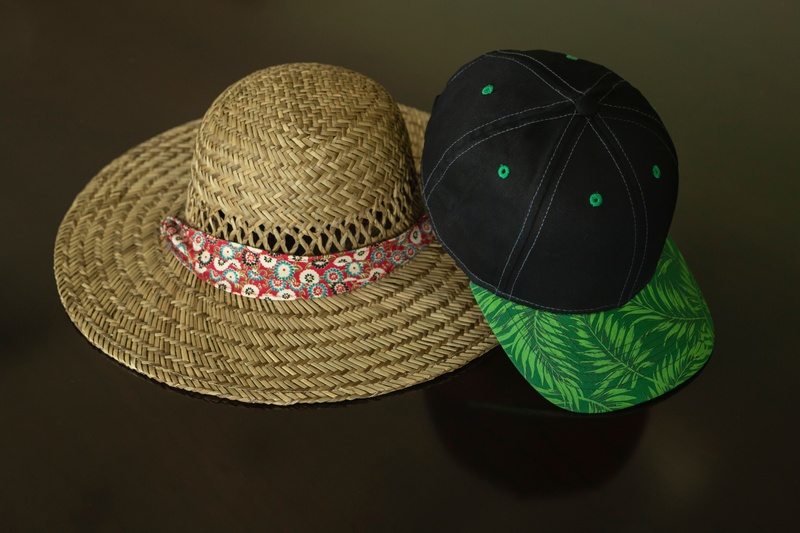 Keep an eye out for the men’s, youth, and athleisure trend guides in the coming weeks, and let us know what you think about the women’s hat trends in the comments below. For more information, follow us on Facebook, LinkedIn, and Twitter.